Amylee was born in 1978 in Nîmes, South of France, amidst a landscape of sunshine and bright colours. She graduated with a Master 2 in Applied Arts and Plastic Arts. She moved to in Paris in 2002 and employed her expertise with renowned, dynamic agencies in Decorating Trends and Fashion. In 2008 she took the decision to follow her real passion and paint full time. Soon afterwards, her work was spotted by a Parisian gallery and her career quickly began to flourish.Amylee uses all of the skills she has learned over the years and knowledge of synergy to paint work that is full of emotion, feelings, thinking and beliefs. Her use of bright and uplifting colour infuses the paintings with positive energies. Amylee’s colours seduce the viewer and her paintings are now represented in galleries and exhibitions of contemporary art in Europe, New York, Singapore and Minsk. Her paintings now dress the walls of several Parisian galleries as well as prestigious hotels. Her work is widely represented at art fairs and exhibitions in France.Amylee is influenced by pattern, both from the 70's and modern Couture, but also from the great masters of painting that she studied at University. 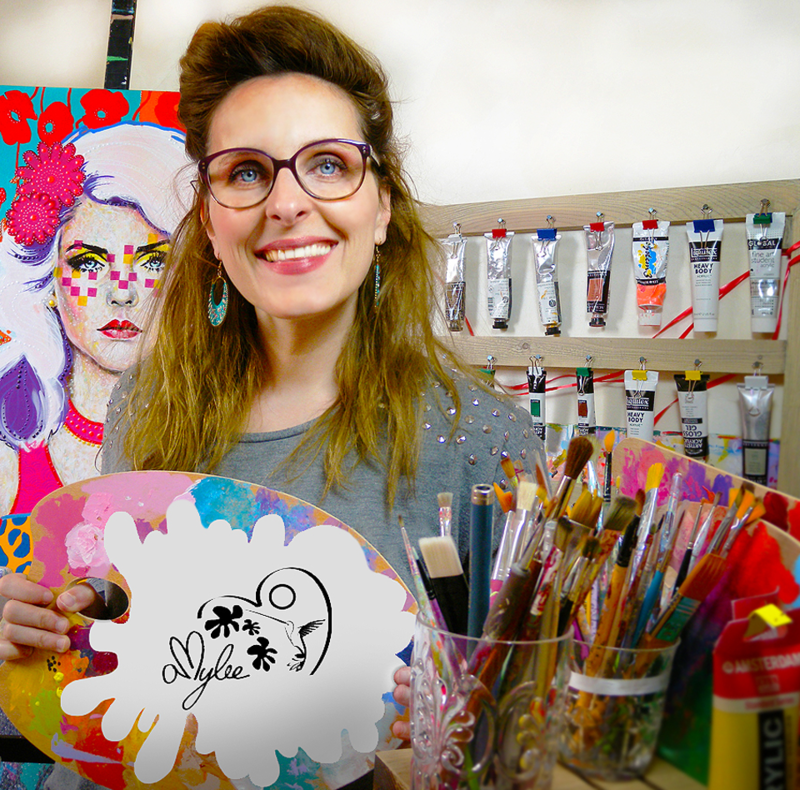 The Classic arts, collaborating with a psychedelic touch of elegance that she calls "Glamour Pop".Amylee enjoys all aspects of social media and blogs tirelessly, enjoying how it opens up new opportunities for connections that the painter can have with their audience. She quickly joined the blogosphere, social networking websites and becomes evermore-present on the web. Artist and blogger: An excellent combination! Amylee is currently living and working in London.